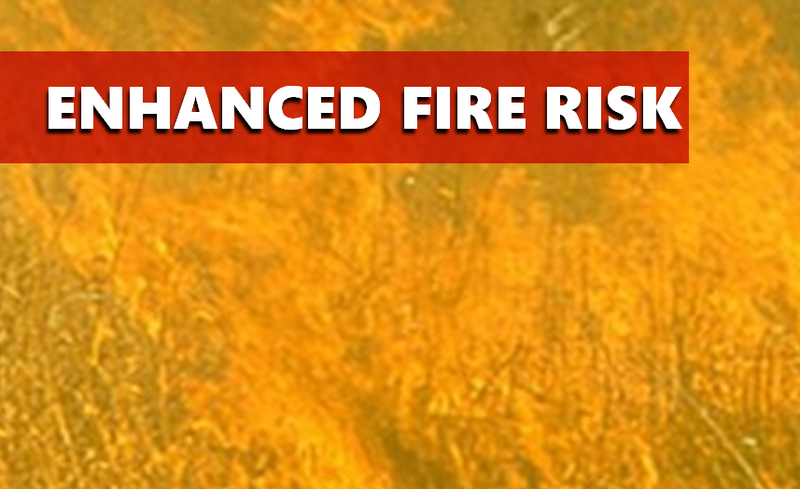 AREA-WIDE -- There is an increased risk for grass and brush fires this afternoon. Outdoor burning is not recommended today. Afternoon temperatures are expected to climb into the lower 80s with minimum relative humidity values dropping as low as 25 to 30 percent. In addition, southwest winds of 10 to 15 mph with higher gusts are expected. These weather factors combined with very dry fuel moisture could lead to small fires or unmonitored fires becoming out of control quickly.